Home Abu Ghraib black ops caci cia cointel front irak is isis jihad utrikes Welcome to ISIS! 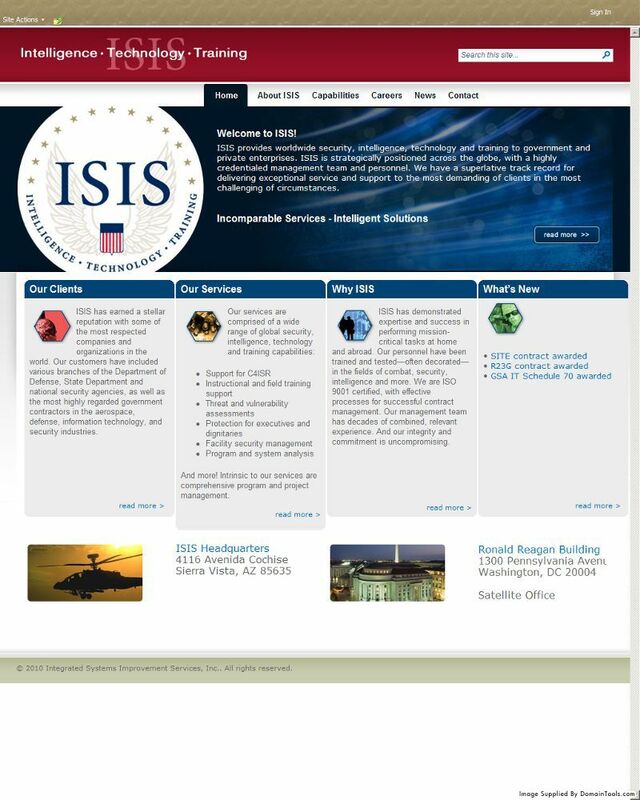 ISIS provides worldwide security, intelligence, technology and training to government and private enterprises. ISIS is strategically positioned across the globe, with a highly credentialed managment team and personnel. We have a superlative track record for delivering exceptional service and support to the most demanding of clients in the most challenging of circumstances. ISIS has earned a stellar reputation with some of the most respected companies in the world. 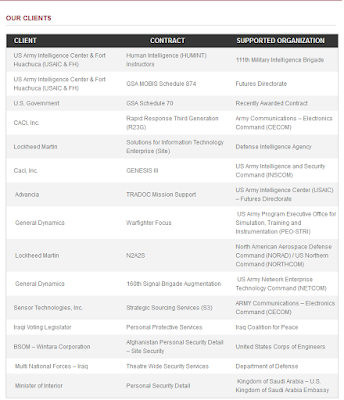 Our customers have included various branches of the Department of Defence, State Department and national security agencies, as well as the most highly regarded government contractors in the aerospace, defence, information technology and security industries. 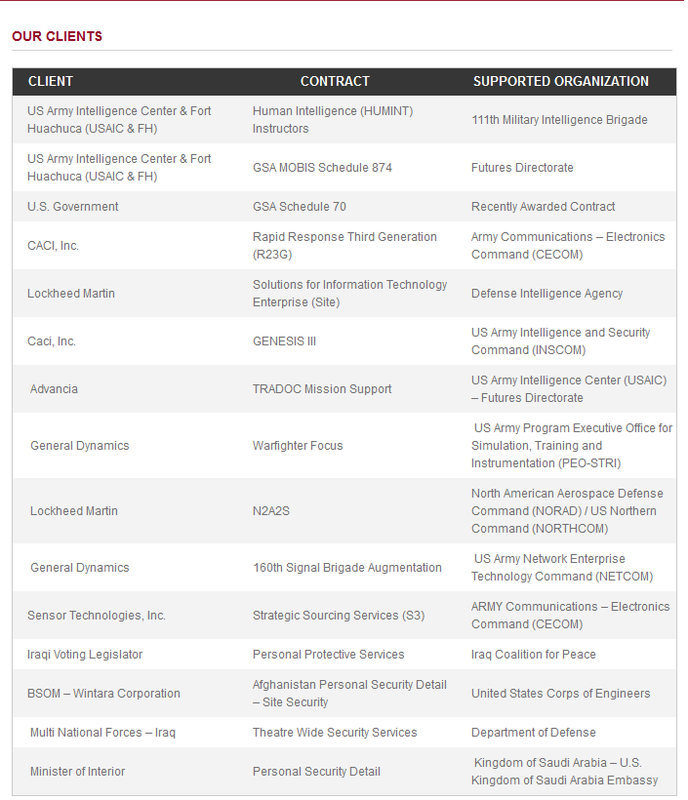 CACI International Inc. recently announced a prime contract with a ceiling value of $452 million, in order to continue providing mission support services to the U.S. Army Intelligence and Security Command (INSCOM) under the GENESIS III contract. A federal judge said Friday he would consider whether to dismiss a lawsuit against the military contractor alleged to have orchestrated torture of detainees at Abu Ghraib prison in Iraq because of a legal doctrine that prevents him from second-guessing military decisions. The lawsuit, filed by four Iraqis who were held at Abu Ghraib, alleges that CACI employees ordered military police officers to deprive detainees of sleep, repeatedly beat them and subject them to an array of other horrors that were uncovered after the release of photos from the prison. On 9 June 2004, a group of 256 Iraqis sued CACI International and Titan Corporation (now L-3 Services, part of L-3 Communications) in US federal court. 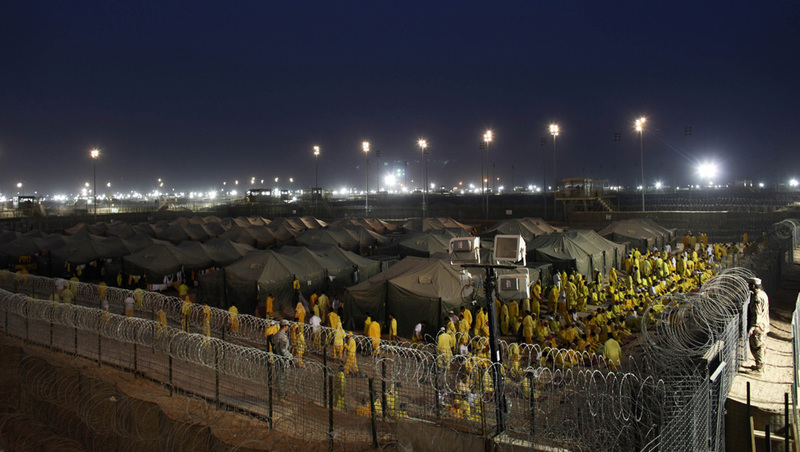 The plaintiffs, former prisoners, allege that the companies directed and participated in torture, war crimes, crimes against humanity, sexual assault, as well as cruel, inhuman and degrading treatment at Abu Ghraib prison. A federal appeals court has reinstated a lawsuit against Arlington-based defense contractor CACI International that accuses the company’s employees of conspiring with the U.S. military to torture detainees at Abu Ghraib prison in Iraq. A leading member of the Islamic State has revealed the group could never have been formed without the help of the US. American prison camps in Iraq gave the Islamists the perfect opportunity to meet and plan their eventual rise to power. Hundreds of prisoners escaped from Abu Ghraib last year when nearby Fallujah fell under the control of the Islamic State. 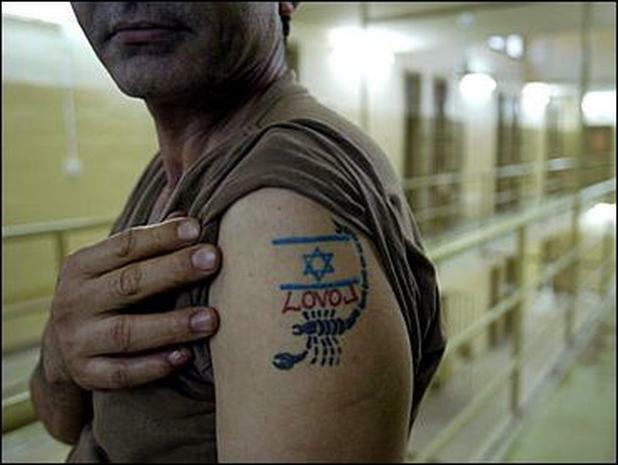 An attack on Abu Ghraib and Taji prisons freed more than 500 prisoners. As Isis has rampaged through the region, it has been led by men who spent time in US detention centres during the American occupation of Iraq – in addition to Bucca, the US also ran Camp Cropper, near Baghdad airport, and, for an ill-fated 18 months early in the war, Abu Ghraib prison on the capital’s western outskirts.